The millions of Americans who intend to leave cookies for Santa may want to rethink their plans. The results of a recent survey of Santas across the country reveals that cookies are not his favorite after all! 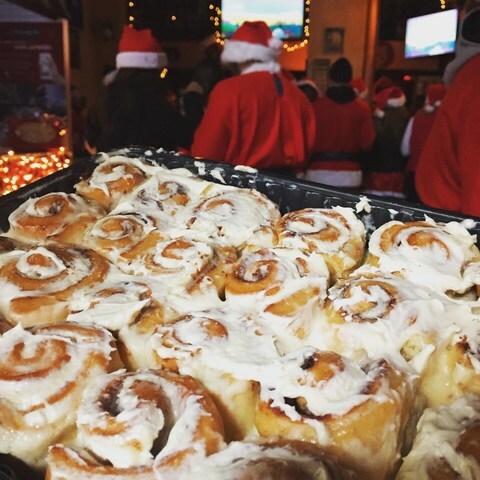 54% percent of Santas indicated that a warm cinnamon roll is the treat they would most like to see waiting for them by the tree during a long sleigh ride. Chocolate chip cookies are St. Nick’s second preferred treat, with 37% percent of votes. Only 8% percent of Santas chose fruit; the consensus: save the roughage for the reindeer! In terms of the favored beverage, 42% percent of Santas said they prefer to warm up by pairing their snack with a toasty cup of hot chocolate. Another 38% percent said they’d prefer to wash down dessert with a tall glass of cold milk. Indulge Santa with the world’s most delicious treats from Cinnabon® bakeries around the globe. Cinnabon sells fresh, irresistible cinnamon rolls in a variety of sizes, including the Classic Roll, MiniBon® and NEW BonBites™, as well as pre-packaged CinnaPacks, convenient for bringing home to share. This season, Cinnabon is offering Santa-worthy hot cocoa, available in cinnamon roll and Ghirardelli chocolate flavors. More than 600 professional Santa insights were obtained with the help from two of the nation’s largest Santa communities: The International Brotherhood of Real Bearded Santas, the preeminent Santa organization in the world, and The ClausNet Santa Claus Network, the largest online community for Santa stories, advice, news, information and networking. Additional votes were gathered from more than 250 Santas at this past weekend’s Santacon NYC. To stay connected to all things Cinnabon, follow the brand on Twitter and Instagram at @Cinnabon, like it on Facebook at www.facebook.com/Cinnabon, follow on Snapchat at @TheRealCinnabon, or visit Cinnabon.com. Founded in Seattle in 1985 and now based in Atlanta, Cinnabon LLC, is the market leader among cinnamon roll bakeries. 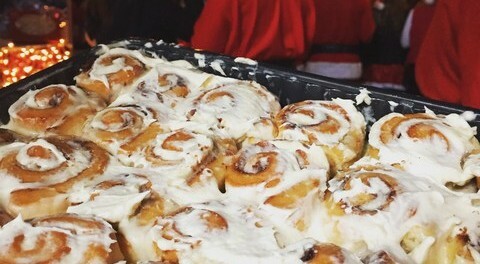 The company serves fresh, aromatic, oven-hot cinnamon rolls, as well as a variety of other baked goods and specialty beverages. Cinnabon® currently operates over 1,200 franchised locations worldwide, primarily in high traffic venues such as shopping malls, airports, train stations, travel plazas, entertainment centers and military establishments. Cinnabon® is also a multi-channel licensor, partnering with other companies to provide over 70 brand licensed products at foodservice and retail venues. Visit www.Cinnabon.com for more information, follow on Twitter @Cinnabon or become a Facebook fan a t www.facebook.com/Cinnabon.